Being the successor of the popular K10D, the body design of the K20D remained almost unchanged. However, the image sensor of the K10D was replaced by a new sensor with higher resolution and from another manufacturer: Samsung. Samsung also presented a twin camera model, the Samsung GX20. 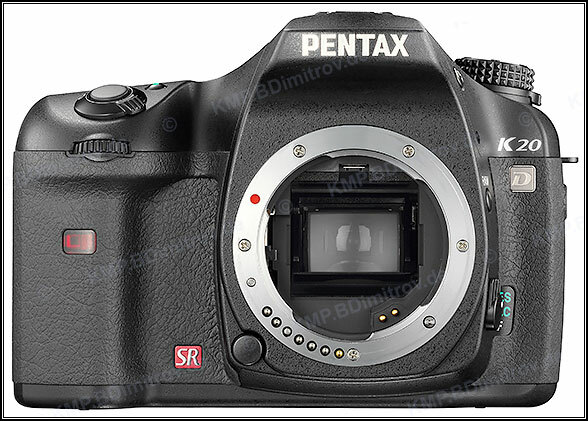 The thin design of the 14 MP image sensor proved to be especially useful in combination with older wide-angle lenses: For many such lenses there is less degradation of the image resolution towards the corners of the image than with the image sensors of earlier or later Pentax DSLRs (except for the K-7 which uses the same sensor as the K-20D). The K20D was the first Pentax offering AF fine adjustment for up to 20 lenses to avoid front/back focus problems.